Born in Berlin and raised in southern Germany, Matthias Diether found his passion for cooking, helping out at his uncle’s restaurant during weekends and school holidays. 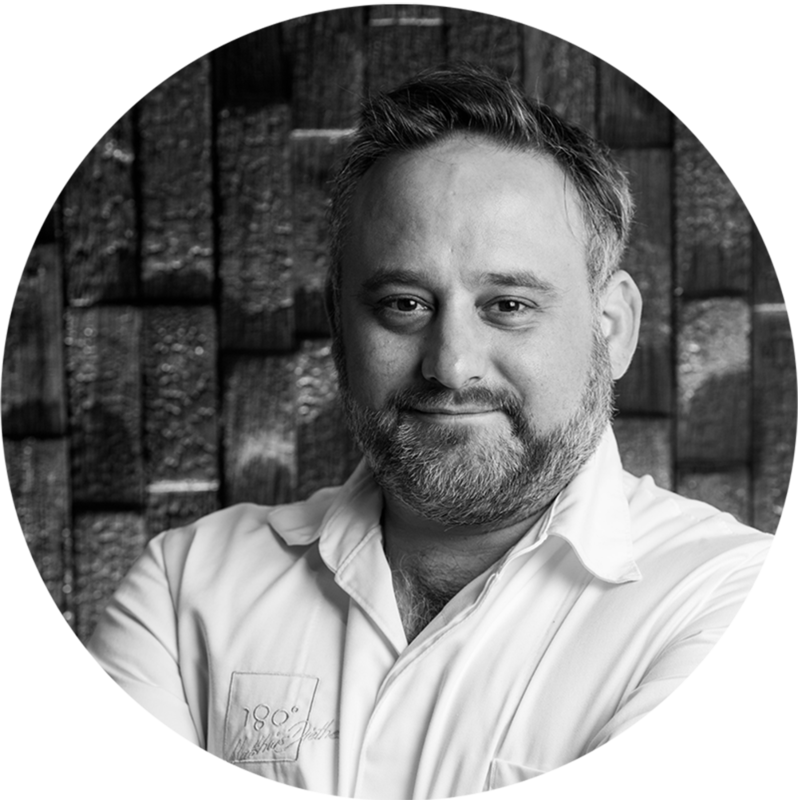 He gained his professional knowledge with the great German chefs Lothar Eiermann, Harald Wohlfahrt and Dieter Müller, and managed gourmet kitchens in Dubai for the Ritz Carlton, the Emirates Palace and the Shangri-La. In 2010 he founded his signature restaurant First Floor in Berlin, where he was able to perfect the elegant and artistic cooking style which he is known for today. His passion for French cuisine shows itself with his modern and individual interpretations, incredible subtleness and opulence are the features that made him the culinary favourite in Berlin. Today he is establishing his culinary home in Estonia, having worked at Pädaste manor on Muhu Island, and found inspiration in Estonia's unique regional cuisine. The elegant menu from 180° by Matthias Diether delivers on clean and intense flavours. Modern European cuisine served with exquisite attention to detail and immaculate presentation.